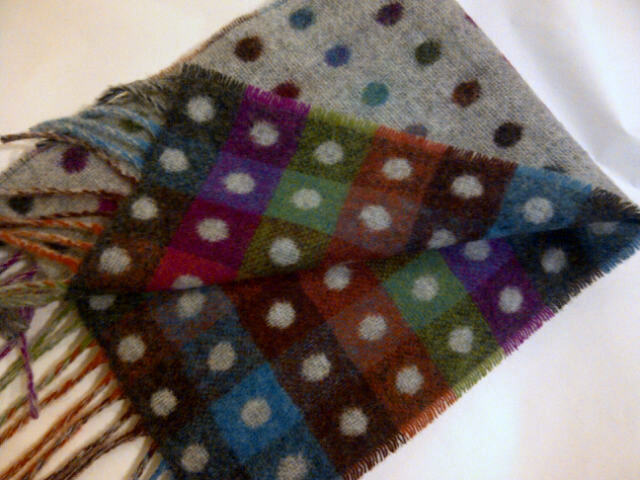 Felted Merino Wool and hand loomed Uzbek silk fabric with mulberry silk fibres. To be worn over a sweater/top. 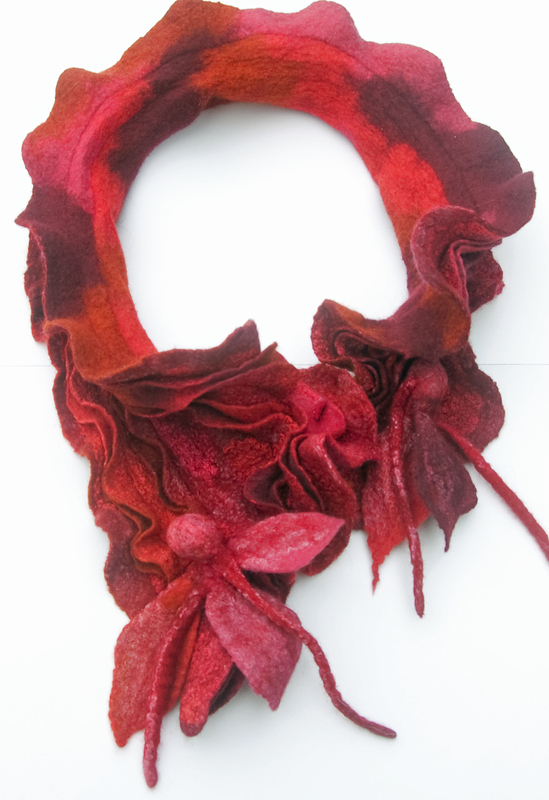 Cosy accessory for your wardrobe, individual and beautiful enough to take you to any occasion! For many years Kathie was a primary school teacher and although she loved her work and has written several books for teachers, that period of her life has passed and she is now obsessed with ‘fluff’ ! She loves felting! Felt is one of the oldest fabrics in existence. It’s incredibly versatile and can be as delicate as a cobweb or as strong as a yurt. 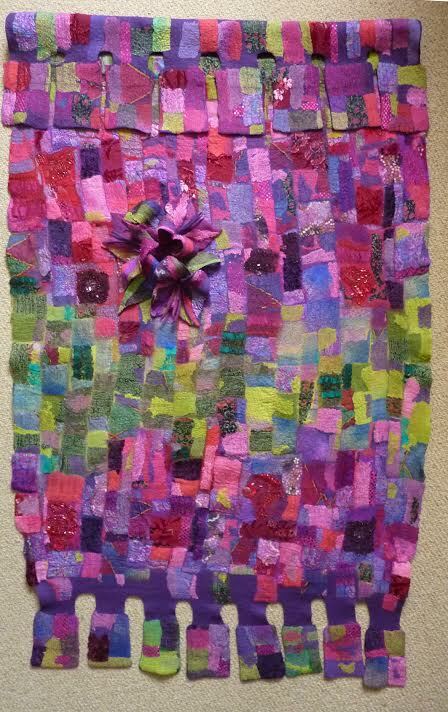 Kathie loves the felting process: the whole activity is a never-ending exploration of colour and texture, with each project defining it’s own possibilities and directions. It’s a dynamic process…..rolling, beating, scrubbing, throwing, sculpting, stretching, soaping, dripping….the felt maker’s mantra! Felt is a non-woven textile that is made by shrinking or matting fibres together to make an impenetrable fabric, that can be cut without fraying or degrading the edges.Felt can be made from all wool fibres and other animal fibres such as alpaca, cashmere, angora and even buffalo.